I have now received the closest thing I am going to get to a response to the points raised in my letter to the Metropolitan Police Commissioner. (By-the-by I sent a copy of the video to John Lewis 7 months ago but have never received a word of regret or apology from what I previously considered a highly moral organisation). Roadsafe clearly considered that there was sufficient evidence to prosecute as it is one of the rare cases they forwarded to the 'TCJU'. They might as well not have bothered because the TCJU viewed the footage and decided there was insufficient evidence. A decision which cuts down on their workload and need not be justified to anybody. The suggestion that there is 'insufficient evidence' because the number plate is dictated by me contemporaneously to camera rather than captured on the video is frankly laughable and I have emailed DI Hands to tell her. Assuming Global Eyes have a vehicle with that registration the idea of a defence that the lorry was elsewhere and I got the registration wrong when coincidently it was another of their lorries is self evidently feeble. If you wanted to set up a unit to give noisy irksome vulnerable road users the impression you were doing something, when you in fact lack the resources or will to do anything, it would be hard to design something more fit for that purpose than roadsafe. Call it intelligence gathering (so as to see whether there is a problem with bad driving and vulnerable road users!? ); apply an absurdly high threshold as to sufficiency of evidence; where the sufficiency of evidence is obvious, refer to the black hole known as TCJU and if anybody complains tell them they should be standing in line at a police station to have their complaints ignored there. Tell vulnerable road users that you have written to drivers or warned them, or whatever it takes, but do not lift a finger to prosecute. If they complain most of them will not know what sufficient evidence is so use that. If all else fails pray in aid the public interest. 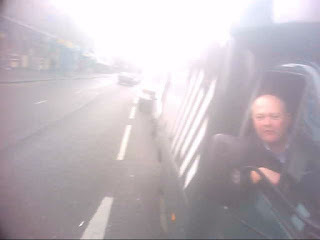 I have tried to make constructive suggestions and criticisms and just been fobbed off by police and politicians alike. Sad to say I have all but given up commuting into London now. It can hardly be described as a pleasant experience and there is no meaningful support from the police. If road safe think that overtake was acceptable and that there wasn't sufficient evidence then they are not fit for purpose. Amazing how we've become used to, and accepting of, terrorism by motorists in the UK. I use the word "terrorism" because motor vehicles do indeed terrorise our towns and cities, preventing young and old, and many middle-aged, from getting around on foot or by bicycle for fear of being seriously injured or killed. Al Quaeda (or whoever it is we are frightened of currently) should start terror campaigns using road vehicles: maximum terror effect, minimal risk of punishment. It's no consolation but I can only assume that TCJU/Roadsafe have had previous experience of similar cases and failed to gain convictions. A canny defence lawyer for Global Eyes would argue that their fleet of vehicles all have similar registration numbers and that you could not be absolutely certain that the vehicle concerned was not a letter different to the one you cited on the video, particularly as there is no clear video evidence. Every big logistics company tracks its vehicles' GPS signals. Given a record of the time and place of that incident, Globaleyes will know with absolute certainty what vehicle was involved, which driver and the driver's previous record. A bus driver assaulted me a year ago after I pointed out he shouldn't have driven into an advance stop area in an attempt to overtake me. I had seen only the name of the bus company - Abellio. But a little detective work - which routes Abellio operated on the road in question - and an email to Abellio's chief executive had the driver involved identified within hours. Abellio checked the in-cab camera to see if it corroborated my story (which it did) and he was suspended and resigned, rather than face disciplinary proceedings. This shows how easy evidence-gathering should be these days. The Met decided, however, that it wasn't worth bringing criminal charges against the bus driver, despite the clear evidence. The TCJU did nothing about the driver who killed Daniel Cox, even though he had faulty mirrors and encroached illegally on an advance stop area. I really do doubt if the TCJU has brought many cases and failed to make them stick, since obvious cases of failure to pay attention or well-document gross negligence leading to a cyclist's death don't seem to clear the bar for starting a prosecution. Sir Velo, "I can only assume that TCJU/Roadsafe have had previous experience of similar cases and failed to gain convictions". Your assumption is very charitable but I very very much doubt it is accurate. Magistrates are not as dense as that. It's always difficult to know exactly why a decision was made in a specific case and there are always going to be some decisions we disagree with. However, if you do ever have the time and inclination to do so I would suggest you go and spend a week or two just observing careless driving trials at Court. I'm sure that in even that short a time you will be utterly, utterly astonished at the cases Magistrates dismiss. Only be actually seeing it can you understand what goes on in Court; the official traffic conviction statistics will mask it to a large extent as they include the huge number of guilty plea/proof in absence 'technical' offences such as speeding. The fact is that careless driving is strict liability and so, providing the case has been properly reviewed and the legal elements are there, and taking account of those few cases where witnesses don't come up to proof, you would expect almost every case to result in a conviction. It doesn't. Who knows why it happens - we've no idea what goes on in the retiring room - but don't doubt that it does. Does that mean that the decision makers are overly cautious? Perhaps. Does it mean that poor decisions should be appealed more? Maybe. Are either of those things going to happen when resources are so tight? No - unfortunately, something is always going to have to give and those cases where no one is actually injured or any damage done are always going to be the most vulnerable. I'm not saying that's something we should be happy with, but it is ultimately the way things are. In the blogpost about the police to which I've already referred below ( http://invisiblevisibleman.blogspot.co.uk/2012/06/cops-pedallers-and-why-theyre-picking.html ) I suggest the Met's approach to driving offences has become somewhat like the approach to drug dealing that a police captain adopts in west Baltimore in a season of the TV series The Wire. They've effectively legalised it by saying they won't make prosecuting it "a priority". The difference, unfortunately, is that it was a well-thought-out decision in The Wire and it was achieved by pushing drug-dealing to three areas where it did relatively little harm. The legalisation of dangerous driving in London has come, by contrast, just as the Cycle Superhighways have been encouraging more riders to use the most dangerous roads. I think - please don't get me wrong - that cyclists should be allowed to use the busiest roads. But to encourage their greater use at a time when protection for cyclists from dangerous driving has been effectively withdrawn does not strike me as sensible, well-worked-out policy. I used to do vast numbers of careless driving cases about 25 years ago on the instructions of the AA and motor insurers. Some things may have changed but I doubt that the quality of magistrates has deteriorated to the extent you suggest. It is true that sometimes prosecution witnesses would give unsatisfactory evidence or not turn up or the prosecution would be ineptly handled and I would get a few of them off. Nonetheless video evidence is pretty compelling and I am quite sure your expectation of the Courts is unduly low. Remember also that where the evidence is solid, many will not require a trial due to a guilty plea. Unfortunately this pessimistic view of the quality of justice is more pervasive than it should be and probably contributes to police inertia. 1. What do they do with that data? 2. What have they discovered so far? I've put before on here a link to my own recent blogpost about this phenomenon (it's here - http://invisiblevisibleman.blogspot.co.uk/2012/06/cops-pedallers-and-why-theyre-picking.html). There are a series of prejudices at work in the police, I think. Among them are, I suspect, a feeling that cyclists aren't part of the community they're meant to protect and possibly a pessimism about the idea that anything about the culture on the roads can ever change. It's certainly extremely difficult to get anything at all done about vehicles that behave dangerously but don't actually hit one. I would fully share your despair at the Met were it not that I'm about to move to New York and, as far as I can see, the NYPD has an even more absurd attitude. I may report back after a few weeks' cycling there. I'm intending to make some kind of submission to the London Assembly's forthcoming investigation on cyclist safety. The only hope I can hold out is that, as with racism, sexism and other ingrained habits of thinking, this anti-cyclist prejudice is going to take time to shift but can eventually be shifted. We can but hope - since the obvious alternative of despair in the face of the current attitude won't get us anywhere. (c) Of which, how many the TCJU decided had enough evidence to prosecute. In the wake of the Daniel Cox case, I think it would be interesting to know if the Met had ever prosecuted anyone for illegally entering an advance stop area. I suspect they never have. Pretty sure I asked them that some time ago and they said they can't distinguish between ASL and other 'red light' violations. That's because advancing beyond the ASL is a simple red light violation. I.e. going over the stop line. Cycles are just given an exemption and allowed to advance further than other vehicles. * 565 resulted in a letter being sent to the registered keeper of a vehicle advising them of the report to Road safe and raising awareness of road safety. footage which contained sufficient evidence of an offence to justify further referral." So that's a referral rate of less than 2%. And we don't know how many of those 31 the TCJU decided did contain sufficient evidence to prosecute. Well, that tells us one useful thing. Those of us who haven't invested in a helmet camera as Martin has are definitely wasting our time referring anything to Roadsafe. I have huge respect for Martin's willingness to keep trying, in the face of overwhelming odds, to get something done about motorists' road behaviour. But I fear I would find wearing a camera rather stressful. My wife has certainly suggested she doesn't want me to spend more time reporting poor driving to the police, as I think I would if I were gathering better evidence. It also strongly suggests the Roadsafe unit has been a complete failure. Martin has posted on here clear, unambiguous video material of deliberately poor driver behaviour that would appear to relate to some of the 31 cases that the TCJU considered. He's a barrister and consequently knows precisely how to frame his complaints for maximum effect. Yet none of the recent ones has led to even an attempt at prosecution. So it seems very unlikely that any of the others has. Incidentally, I'm intrigued that Roadsafe says it would be "extremely time-consuming and disproportionate" to work out what happened in every case. The interesting cases surely are just the 31 that were referred. It's hard to see that it would be terribly time-consuming or disproportionate to find out what happened in those 31 cases. One has to suspect they avoided answering that for a simple reason - they know the unit hasn't got a single point put on a single motorist's licence. "Magistrates are not as dense as that". You are inferring, therefore, that there is an institutional hostility towards cycling within the Police? Interestingly, no mention is made of careless or dangerous driving per se. I'm pretty sure that this section has altered since I first went to the site an references to dangerous driving/near misses have been removed. Certainly I know I found a page on the met site that said I could report these things on Roadsafe more recently but that now seems to have disappeared as well. One thing is certain "Invisible Man's " departure to New York will result in a huge sigh of relief by some of the Police that he reports matters! Laziness by those to whom we entrust our safety on Bikes creates an even scarier scenario than currently exists ! Tried getting into " the Times Campaign" recently ? Seems you have to pay for their services to be allowed ! after the " Le Tour " is the Olympic and i will be expecting to survive the " Guerilla Warfare " that All Londoners currently regard as everyday road use ! Not looking forward to being a " volunteer " at an event where you have to survive " Assasination attempts " so as to assist those that arrive to watch the " Track Cycling Events ". As regards the 2% TCJU referalls , how many Prosecutions ? GUESS ? my opinion is NONE ! An organisation that is not fit for purpose and who created this monstrosity ? The Times does a better job for FREE ! David Cameron and that waste of space BJ have a lot to answer for if they think they are doing a good job for Cycling Safety ! Not sure I fully endorse Martin's view on the quality of magistrates. A slight digression to illustrate the point: I have it from an unimpeachable source that at least 25% of all motorists who have garnered 12 points on their licences are permitted to continue driving on the mitigating plea of undue hardship. This stat includes those who have sufficient means to afford a driver, or other means of transport. Currently, there is insufficient accountability or consistency in their sentencing leading to daft judgements. Martin, I seem to recall in one of your blogs, you wrote about how as a cyclist you were no longer part of the establishment once you removed your silk and donned your lycra. I'm afraid the majority of magistrates are as wedded to their cars as the rest of the population and think and act accordingly. I'm not so pessimistic as to think this attitude isn't capable of change but maybe efforts to change opinion should be focussed on the arbiters of justice, as much as the police. I spend a fair amount of time tracking and, where appropriate, criticizing court decisions particularly on lenient sentencing and have been happy to assist British Cycling with their current campaign. I have also been strongly critical of District Judge Evans who convicted a cyclist for riding in the road and acquitted a dangerous speeding police officer. When Magistrates make daft decisions it is done openly and publicly and can be appealed and/or ridiculed. My current blog post is about police inactivity which means that cases do not even get before a Court. I remain utterly unconvinced that more than a small proportion of these cases would result in an unjust acquittal. This is a distraction from the fact that we are being let down by our police. It is ridiculous how RS won't act on some cases of obvious bad driving and I know of a couple of other riders who have had problems with them not seeking more action of obvious poor driving. 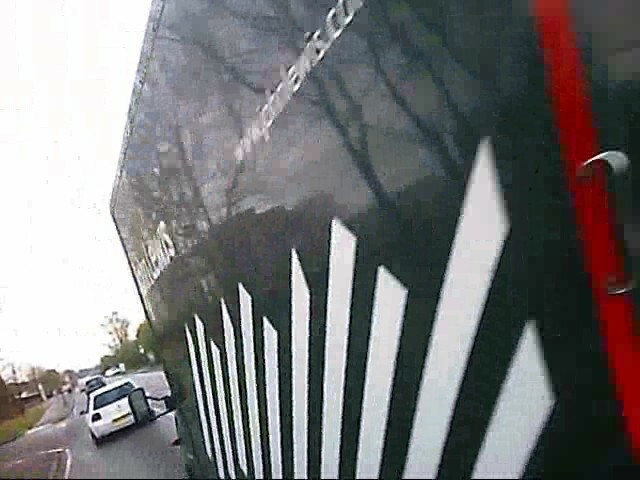 I had also had a close pass from a John Lewis van http//youtu.be/Mjn4PRiMxgs however they did at least respond to my complaint asking for more details to help track the driver down. I agree that the driving of both lorries was completely unacceptable and there should have been prosecutions. Lorry drivers, and their transport managers, know that they can get away with driving like that with impunity. Your John Lewis link does not work for me. Your last paragraph is the most striking to me. I'm really sad to hear that you have "all but given up" on your commute. You've reached a point that many cyclists in the UK eventually reach, where you finally realise that the problems and danger outweigh the benefits. I made a similar journey. In my early 20s I was someone who enjoyed the excitement of commuting on busy streets, I'd ride in primary and sod the idiots in cars behind who would drive close to try to get to the next red light a bit sooner. However, this is the way to a stressful life and when you realise that not only are you mortal but that the police are not the slightest bit interested in doing anything about people who deliberately put you into danger, the appeal starts to fade. Of course, both of us are part of the 1% of the population who ever find this attractive at all. What happens when we feel doubts is that we return to a situation which is nearer to the average person. After cycling begins to look too much like an extreme sport for comfort, what next ? Will you start to campaign for subjectively and actually safe conditions on the streets which will make your own life better as well as help to make cycling attractive for the other 99% of the population ? David, I respect where you are coming from but I have a 30 mile commute; I cannot do that on segregated infrastructure, however good. I want the police to do their job and enable me to ride in reasonable safety on the public roads. Why do you believe that it would not be possible on segregated infrastructure. Actually, well designed segregated infrastructure leads to faster journeys. It must, because one of the main reasons why people cycle is the speed of cycling. My experience on the 40 mile per day commute on segregated infrastructure which I used to ride here in the Netherlands is that on these cycle-paths I averaged far higher speeds then ever I did in the UK on roads. The reasons ? Amongst other things, having a smoother surface to ride on than the road (concrete vs. asphalt), priority at side roads, and far fewer traffic lights - in my case just one set of traffic lights in 20 miles (which defaults to green for bikes) vs. nearly a dozen if I were to drive. What's more, the total distance was less by bike than by car. The intercity cycling superhighways under construction all across the Netherlands are being built specifically for high speed long distance commuters, like you or I.
Britain could do the same thing. It merely requires a will to change. What's more, this type of infrastructure makes mass cycling possible, not just minority cycling as in Britain. While the attention of cyclists is only on conditions good enough only for the minority to ride in "reasonable safety", the potential for mass cycling is being ignored. If you see the gold standard for cyclists as having the same routes as used by drivers then you're also missing out on a huge potential benefit for yourself. haven't we done this before? I'm sure segregated cycle infrastructure can be done well, so it is fast, safe and efficient but I just don't think the UK can do it, not at the moment anyway when we can't even get the police to take the dangerous behaviour of other road users seriously. Thanks again for your continued efforts. It's thoroughly depressing that even a person with your knowledge cannot get a satisfactory result. I wonder whether 'not in the public interest' translates as 'would be unpopular with the motoring lobby' or 'would start a principle that we should actually deal with dangerous road users and open the floodgates'. Neither is satisfactory. Given that you seem to be reaching the 'end of the road' - to have become exhausted by the impossibility of getting the Police to take action and to in light of the lack of protection to be considering giving up commuting by bike - are there any more suggestions you have for action. Is there scope for private prosecutions (I for one would contribute to a fighting fund)? Is there a scope for action inspired by the Keilder mass trespass? What happens if you refuse to identify yourself and accept the fixed penalty notice for busting a red light or cycling on the pavement and a large group systematically did so outside a Police station? Yes Simon, I am a supporter of private prosecutions and hope we shall see some. It is the most effective way to shame those who rely upon 'insufficient evidence' as an excuse for inaction. - how would someone go about it? - what sort of offences have a chance of success? I will contribute to a fund for private prosecutions. Saddened to hear you may be giving up the commuting, I'm getting quite disillusioned with it myself and take the offroad route as often as possible but don't think I could ever give up cycling to work, the alternatives are too hideous. I hear that the Thames Valley Police and Crime Panel are looking for two 'community minded individuals' to join and have a say in how the region is policed. I imagine that you would be a superb person to champion road crime issues in the region. Closing date is July 13th.